Pura Vida, our way of life! Costa Rica is a sovereign nation, organized as a unitary presidential republic placed in Central America. There are 7 provinces, each with their special and unique activities to know their culture, food and specially the adventure of our natural beauty. If you are looking for a place that has, relaxing activities and extreme adventures at the same time Costa Rica is your perfect destination. San José, our capital city is the center of Costa Rica’s growth and history, but if Volcanoes, beaches, exotic animals, and unforgettable adventures in nature are what you are looking for, Guanacaste province is the place you dreamed about. The country is characterised by mountains, volcanoes, beautiful beaches, forests, National Parks, a thousand of animal and plant species, everything waiting for you to have the more extreme experience of your live. Definitely a wonderful place to live, and obviously, to visit. Costa Rica has a rich, recognizable and varied culture with indigenous, European and Afro-Caribbean influences; This is a mestizo, multiethnic and pluricultural country manifested through gastronomy, folklore, music and traditional dances, beliefs and superstitions and popular language. The Catholic Religion as a cultural legacy of Spain, has an emphasis on the family and the church, thus influencing the lifestyle of the nation, reflected in colorful festivals in honor of the patron saint of each place. The official language is Spanish, as this is stipulated in its constitution, however there are others such as the maleku, bribri and bocotá; There is also the English language. In a land of exuberant natural landscapes, appetizing culinary traditions, according to an article published on Wikipedia of Costa Rican gastronomy, Costa Rica has three major influences for the preparation of its dishes that are aboriginal culture, Spanish culture and African culture. In addition, Costa Rica has a thriving art scene, it is not surprising that Costa Ricans are known for loving life. This small country located between the Caribbean and the Pacific is also known for its fresh seafood, along with fresh fruits, bananas and coffee. The most popular sport is football and the meetings of the national team are events mostly followed by Costa Ricans. Independent country since September 15, 1821. Along with other Central American countries, Costa Rica participates in the war against William Walker in 1856. During the battle of Rivas de Nicaragua, on April 11, 1856, the National Hero of Costa Rica, Juan Santamaría, is distinguished. For more than 60 years Costa Rica has no army, placing its hope in the instruments that International Law provides to solve disputes between countries. The abolition of the army has allowed, in particular, to finance sectors such as education, health and access to potable water and electricity services. A consolidated democratic system coupled with an almost universal coverage of social security make the country an international benchmark. ¿Looking for the best natural destinations? You are in the right place. 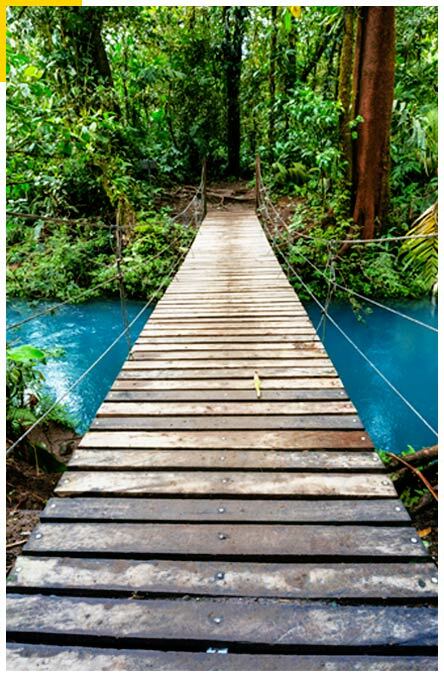 From the most relaxing and beautiful beaches to the exotic and giant volcanoes, you can find everything in Costa Rica. A lot of national parks, biological reserves, rivers, lakes, mountains, waterfalls are in the top agenda for your vacation plan. Costa Rica is located in the Central American isthmus. The country has an area of ​​51,100 km² being one of the smallest republics in Central America. It has 1,228 km of coastline, of which 1,016 belong to the Pacific coast and 212 km to the Caribbean coast. The Pacific coast presents irregularities such as peninsulas, gulfs and bays, which provide the conditions for the development of ports and tourism. It has a population of around 5,000,000 inhabitants, of which 50% live in the Greater Metropolitan Area. This area includes the central part of the country and has an average altitude of 1,000 meters above sea level. 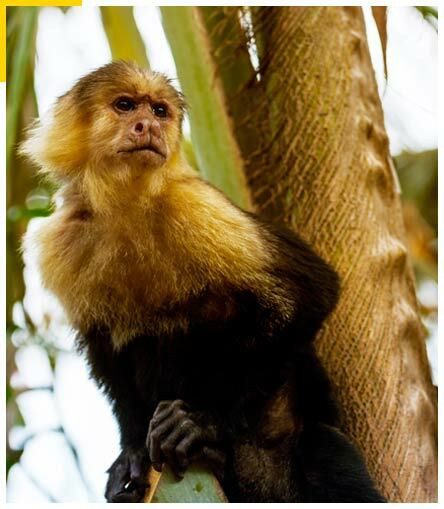 Because of its location, Costa Rica enjoys high temperatures and rainfall during a certain part of the year. From its origins, this country has been a biological bridge, where different species of flora and fauna come together (from the Neo-Arctic, Neo-Tropics and other regions of the Antilles). Due to its great biodiversity, you can find landscapes from humid coasts to desert landscapes at more than 3,000 m altitude. The country has been characterized by its beautiful beaches of white and black sand, which are visited by thousands of tourists throughout the year. Likewise, its high mountains amaze visitors, such as Cerro Chirripó with 3820 meters of height. The mountainous ranges go from Northwest to Southeast, and the four most important mountain ranges of the country are: Guanacaste, Tilarán, Central and Talamanca. An unique insight into the heart of its culture is given by food. In Costa Rica you can find many typical dishes. Like “Casados”, “Ceviche”, “Gallo Pinto”, “Olla de Carne”, “Tamales”, “Pejibayes” and many other delicious plates each of them with a country´s heart little piece. Costa Rica has 6% of the planet’s biodiversity, which makes it the country with the greatest biodiversity on the planet per square kilometer of territory. It is found in southern Central America, in the Intertropical zone of the planet, and very close to Ecuador, it is estimated that the countries closest to Ecuador are those with the greatest biodiversity. According to this information, comparatively the tropical rainforest of central Costa Rica (in an area of ​​1,200 km²) house of about 6,500 species of plants, more than a lot of places with a bigger area. There is a great variety of species in the fauna of Costa Rica like 227 species of Mammals, Reptiles and approximately 180 species of Amphibians. 25% of the territory are protected areas, national parks and nature reserves, which preserves to a great extent the integrity of the species.